***The links in this article are NOT affiliated links. We are not compensated for items purchased through links from our site. Hearing aids have become vital gadgets for people with either partial or full hearing disabilities. However, there are far too many brands and models of hearing aids on the market today to easily find one that best suits your hearing needs and budget. One thing you should always remember is that a high price doesn’t necessarily mean high-quality. There are many expensive models that lack some of the most important features that most people look for in hearing aids. It is therefore wise to do your research well and check the hearing aids product carefully before you make your purchase. We recommend you start by identifying your unique hearing loss level before you buy a pair of hearing aids. For instance, with a mild hearing loss, you do not need to spend a lot of money on a more expensive hearing aid product meant for people with severe hearing problems. You could be having a mild hearing problem such as the inability to hear a conversation on a noisy restaurant or inability to listen and hear what is being said on TV from a distance and you don’t necessarily need a product with high preset volume levels. Your choice will also depend on your personal preferences. Most users of hearing aid gadgets prefer to wear an invisible gadget that will not get in the way of their work or comfort. When you know exactly what you need in a hearing aid product you will be in a better position to choose a device that best suits your needs. Identifying your needs is simply half the battle because you’ll still need to sift through hundreds of products on the market to find the ideal one for you. 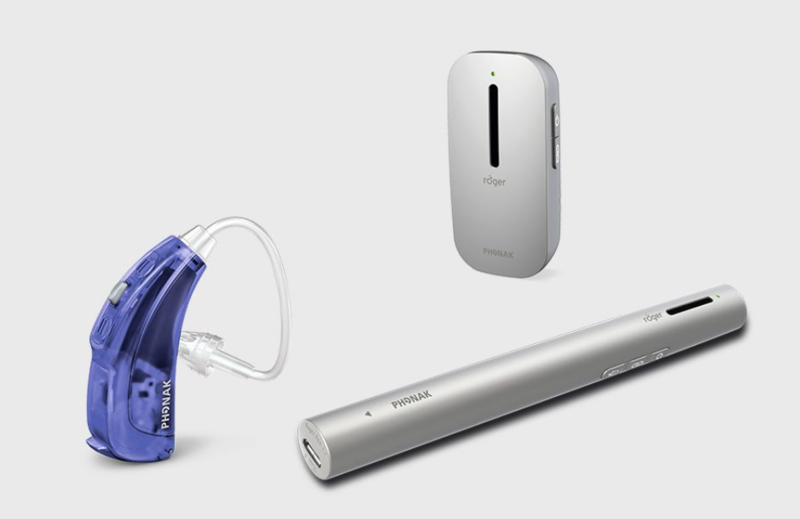 To make things easier we look at two of the most popular hearing aids brands – Nano Hearing and Phonak hearing aids. Both brands are industry leaders in the hearing devices market in the US and the rest of the world. Made in the US, this is one of the leading hearing device brands today. Nano hearing aids are made for people with all types of hearing loss problems from mild and moderate to severe hearing disabilities. The device comes with a host of features including a volume control feature that allows you to set the volume to your preferred level. The volume feature is important, especially for people with mild hearing as it allows them to adjust the volume to a level that they can hear properly. Those with severe hearing issues can also adjust the volume to their preferred level. This versatility is one of the key features that have made Nano hearing aids quite popular today. Nano hearing aids are made using the latest digital technology. For instance, the Nano RX 2000 is a tiny Complete in Canal (CIC) hearing aid with all the latest digital technology features. It is worn deep inside the ear canal and it’s a perfect choice for those who don’t want their hearing aids to be visible on the outside. You wouldn’t want everyone to know that you’re wearing hearing aids and start shouting every little comment at you like you’re permanently deaf, would you? A discreet near invisible pair of Nano hearing aids is a great option. The CIC hearing aids are also perfect for anyone who wears glasses because they are worn inside the ear and do not interfere with the glasses’ frames. Nano hearing aids also come with extra earbuds to ensure that you get a perfect fit. With a pair of Nano CIC hearing aids, you can easily have a conversation in a noisy restaurant, converse with a spouse in low tones, and even listen to the TV without increasing the volume. 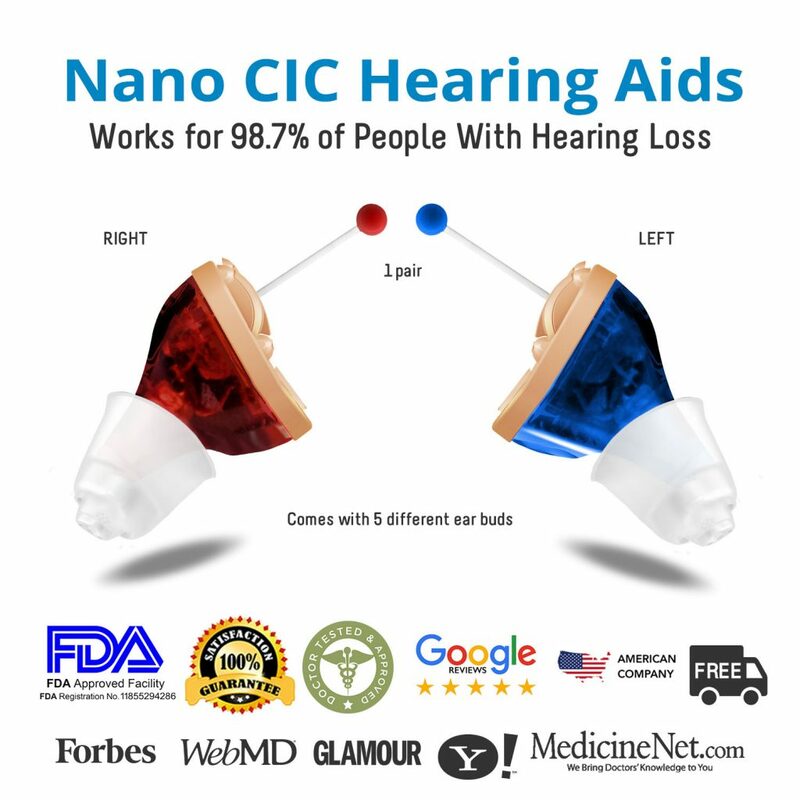 Nano CIC hearing aids are available at an affordable price and are even sold over the counter. When you buy from Nano you get a versatile pair of hearing aids that can be used by close to 90% of people with hearing loss problems. You don’t even need to spend extra money on hearing tests and appointments with hearing loss specialists to get a prescription. If you need a hearing test, it’s available free of charge from the company’s website. Your pair of Nano hearing aids come with a long-lasting battery and a USB charger. The battery will last for more than 16 hours after a two-hour charge. CLICK HERE to see if the BOGO sale is still active and claim this offer before it’s gone. You won’t see this big of a discount ever again, that’s for sure. You’ll be kicking yourself later if you don’t take advantage of this right now. Phonak hearing aids can be used by people with all conditions of hearing disabilities from mild and moderate to severe hearing complications. However, the company seems to focus more on children than adults. The hearing aids have clear sound detection and advanced sensors, which is why they are mostly preferred by school-going children and young adults. Sound detection is helpful in ensuring that children can learn more effectively without limiting their hearing ability. Phonak hearing products for adults come in different colors to match your choice of dress or fashion accessories. Phonak hearing aids also feature a rechargeable battery complete with a USB charger. Compared to Nano hearing aids, Phonak hearing aids have the disadvantage of being costlier despite having the same features and functions as most Nano products. The Phonak website is also more complicated to navigate than the Nano Hearing website. In a comparison between Nano Hearing Aids and Phonak hearing aids, the clear winner is Nano Hearing. Phonak hearing aids cannot match the features and functionalities that you get in a Nano product such as the RX 2000. You also don’t need a prescription to buy a pair of Nano hearing aids over the counter. Phonak hearing aids, on the other hand, are more expensive and require a prescription from a doctor. Another great thing about Nano hearing aids is that the company provides its customers with a full money-back guarantee. Take note that Nano Hearing Aids are currently being sold at a great buy-one-get-one-free offer in which you get an extra pair for every pair of Nano hearing aids that you buy from the company’s website. We are not sure how long the promotion will run so you better hurry and get two pairs of hearing aids at the price of one.